M Sirenia Pantoja definitely loves what she does and embraces each day as a new adventure. 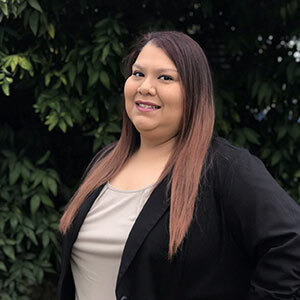 She says, “Every day is a different day when working in this field, there are no two days alike.” Working with children and managing a classroom in a non-profit Applied Behavior Analysis (ABA) program have shown M Sirenia her true passion for education and special-needs individuals. It’s given her many new strengths, and the opportunity to learn from every family she’s worked with. M Sirenia graduated from California State University, Bakersfield with a Bachelor of Liberal Studies with emphasis in Child Development. She is pursuing her master’s degree in special education with emphasis in autism at the University of LaVern. M Sirenia enjoys baseball games, trips to the beach and family time. She volunteers for events that promote autism awareness and is part of the League of Dreams in Bakersfield. Her first name is the letter “M,” which used to bother her, but now she embraces it.